What do you want to be when you grow up? 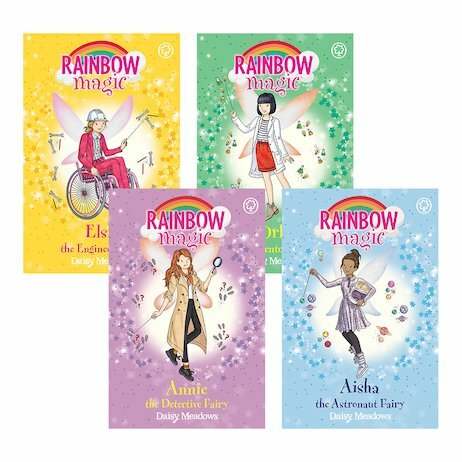 If it involves innovation and new frontiers, these cool fairies will have your back. They watch over life’s pioneers – the inventors, the makers, the explorers who look beyond the horizon and then go pack a backpack. But now the Discovery Fairies have made a horrid discovery. Jack Frost has sneaked in and stolen their magical items! Without them, the world’s knowledge will start slipping backwards. In fact, it’s already happening! Engineers are running out of steam, and detectives have run out of clues. Can Rachel and Kirsty step in – before everyone loses the plot?